This blog post is dedicated to Joel Lewis. Sometimes the Church is more the body of the devil than the body of Christ. 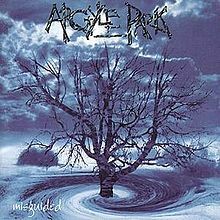 I don’t know all the finer details about the background to this album (its Wikipedia page provides a few), but I do know the disc’s honesty about the Church’s darker side and the anger this naturally provokes was most welcome for an angsty teenager. Even now, Misguided proves cathartic. For those who approve of and keep track of these sorts of things, I regard Misguided as the second best CCM album. It is, for me, a work of genius. So sad. Music can be a great healer. Yes . . . that's for sure. Now you're talking. Like you, I still consider this one of the greatest, if not THE greatest, CCM albums of all time.